From writing and critical reading to algebra and geometry, AudioLearn is your complete audio study guide to the NEW SAT - with two characters narrating for easy listening. 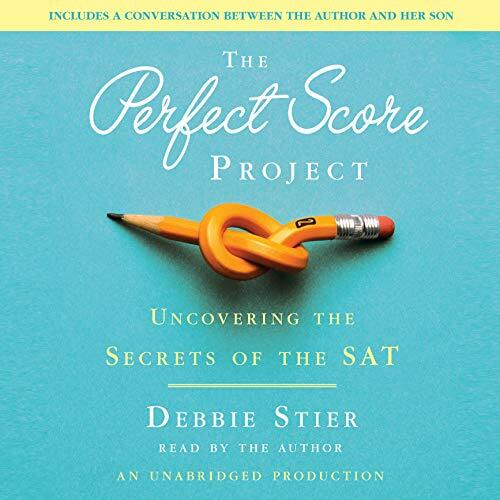 The Perfect Score Project is an indispensable guide to acing the SAT - as well as the affecting story of a single mom’s quest to light a fire under her teenage son. Both a toolbox of fresh tips and an amusing snapshot of parental love and wisdom colliding with teenage apathy, The Perfect Score Project rivets. 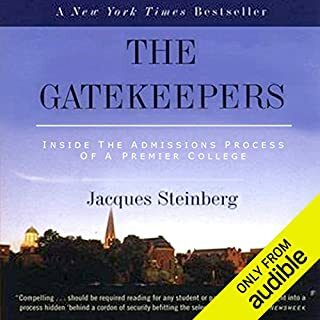 In the audiobook, Debbie does it all: wrestles with Kaplan and Princeton Review, enrolls in Kumon, navigates khanacademy.org, meets regularly with a premier grammar coach, takes a battery of intelligence tests, and even cadges free lessons from the world’s most prestigious (and expensive) test prep company. Along the way she answers the questions that plague every test-prep rookie, including: "When do I start?"... "Do the brand-name test prep services really deliver?"... "Which should I go with: a tutor, an SAT class, or self study?"... "Does test location really matter?" … "How do I find the right tutor? 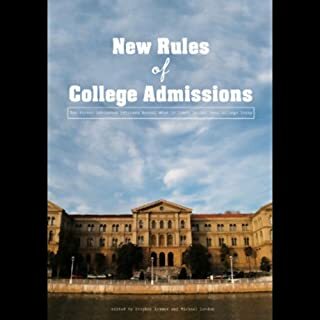 "… "How do SAT scores affect merit aid?"... and "What’s the one thing I need to know?" 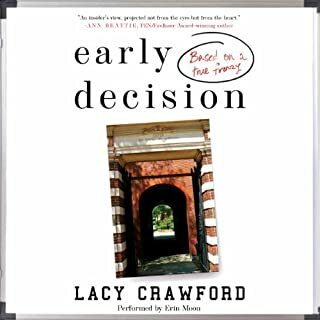 The Perfect Score Project's combination of charm, authority, and unexpected poignancy makes it one of the most compulsively listenable guides to SAT test prep ever - and an audiobook that will make you think hard about what really matters. Overall this book is an excellent guide to SAT prep while being amusing. The narrator is an obsessed overly involved mother of the kind I generally dislike. I found this off-putting at first but since she knows this about herself and isn't above poking fun at herself about it I really grew to enjoy it over time. 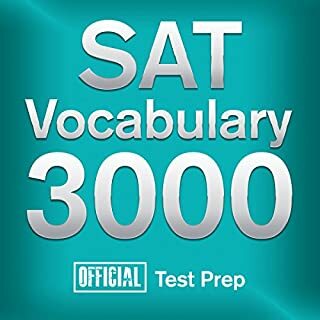 The walk-through of various aspects of the SAT and test prep is among the most comprehensive I have read (or listened to) and being in the testing industry I've seen hundreds of such books. Two thumbs up to this informative and funny book. It was very helpful to me as a mom with high school students at home. Thank you for writing and completing the project! The Test America Loves to Hate! What did you love best about The Perfect Score Project? I loved Debbie's relationship with her son, which was her main reason for embarking on this project. She was pretty honest about her ups and downs in her obsession and how it affected both of them. What was one of the most memorable moments of The Perfect Score Project? Debbie's first stab at the test was pretty memorable. She really holds off on sharing her score (I really wanted to know her baseline!) and her observations of how teenagers behave at the testing site was kind of funny. Debbie tries everything. One method a month, to be exact. She goes back to basics with Kumon and attends official classes with big-name companies. She studies the official College Board “blue book” like the Bible. At one point she’s even writing formulas on her kitchen cabinets. All on the quest for a perfect 2400. I loved it. I loved her passion, her nerdiness, and her humility throughout the process. I think if Debbie Stier were my own mom she might drive me a little crazy. But she definitely has heart and cares about her kid. I read this for entertainment, but did actually learn some things along the way. 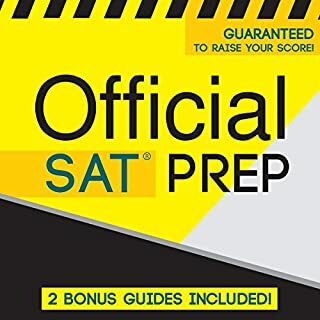 I'm well past my SAT year, but I'm thinking about teaching SAT prep classes this summer and Debbie actually pointed me toward the best resources to use for preparation. 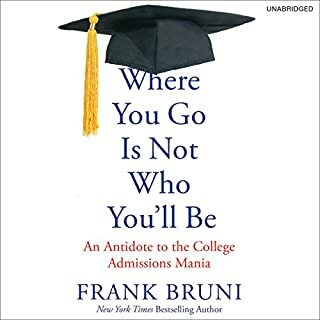 It's not a guide to the test, but it could be a good read for any parent whose child is college-bound.